The history of Rawalpindi is one, which is scattered across a vast area. To draw a complete picture of our history, one has to collect the scattered pieces and put them together. No doubt, it’s quite a difficult task but with time and patience, all can be achieved. Most of us know Rawalpindi as a convenient route taken by the invaders, when coming from the north-western regions. It also served as one of the most important cantonments established by the British Army in the north-western region of British India, in days of the The Great Game. Before the partition, Rawalpindi was an urban centre mainly populated with Hindus and Sikhs. Even today, one can see the old remnants of their existence in the old areas of the city, in the form of houses, abandoned temples and Gurdwaras. However, during the last 60 years post-partition, the city has undergone a lot of changes. The Hindu and Sikh population migrated to India in 1947 and the city provided shelter to the Muslim migrants from Punjab, Delhi and Uttar Pradesh. The city of Rawalpindi, home to several Hindu temples and Sikh Gurdwaras, was also renowned for many other historic landmarks, whether it was, a Dhobi Ghaat, a Haveli or a public space. With the passage of time and the increased growth in population, the city’s demography gradually changed. Most of the old and historic places fell victim to the advent of modernisation, giving way to countless commercial buildings, markets and concrete matchbox structures. It is said that Mai Veero was an aged Hindu lady, who was saintly in her behaviour with others and respected among the masses. Banni Mai Veero was built by her, for the benefit of the people where they could bathe, swim, rest and freshen up. It was sort of a gathering spot, much like the Greek Agora, for the public in the heart of the city. The water source of the pool was from a clean water stream nearby (an area on the opposite side known as Kartarpura). While hunting for Banni Mai Veero I managed to reach the exact spot where the pool had once been. Today, it is a market, housing video stores. I met the president of the market, who on my request introduced me to the oldest living person of the area. That is how I met Muhammad Ishaq, Bhaiyya ji as he’s popularly known, who sells fruit-chaat in this market. Born in Ambala Cantonment area (now in Indian Punjab) in 1936, Muhammad Ishaq migrated to Rawalpindi in 1947 along with his family. 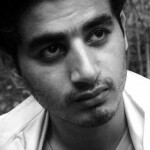 “I remember it very clearly; there was a pool here, I used to take bath and swim in it” says Ishaq. “When we came from Ambala we lived in Bazaar Talwaraan, near Raja Bazaar” he added. He goes on to further narrate that one of his elder brothers was a government employee working in the railways and the other owned a shop of shoes in Ambala. “I also worked for the Pakistan Railways as a porter after partition, for some 20 years” Muhammad Ishaq tells me whilst showing his old employee’s identity card. 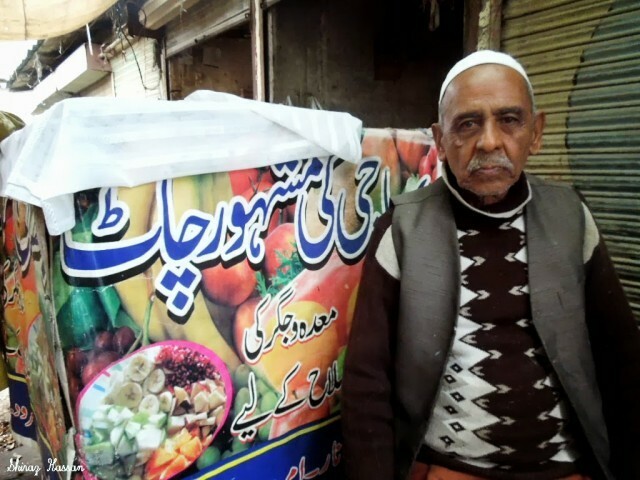 Initially, Ishaq started his fruit-chaat business in Raja bazaar, as a part time engagement later shifting his shop to the newly built market where the government allotted stalls to the street vendors. This market, he adds, was built in 1980s right on the same spot where the pool of Banni Mai Veero had once been. Needless to say, today there are no traces of any pool anywhere near the market, that was built in 1982 and inaugurated on May 5, 1982. The market has more than 100 shops, most of them selling CDs and DVDs, and a few repairing electronic appliances. Muhammad Ishaq recalls confidently, back when the pool did exist, the water had been clean and fresh, so much so, that this water allowed the pool to house different species of freshwater fish. Where there had been stairs on all sides of the pool, people used to take a bath and the women washed their clothes. Unfortunately, people eventually started polluting it. The link to the stream, which was the source of the water to the pool, was cut off; new houses were built and the pool slowly dried up. It did not take much time for the locals to turn the place into a garbage dump. That was, probably, how Mai Veero di Banni made a silent exit from the history of Rawalpindi. Much later, the City District Government Rawalpindi planned to use this place for commercial purposes and built the market in 1982. But the businesses that initially set up shop here didn’t really flourish. It was only in the late 80s when the VCR culture was ‘exported’ to Pakistan (mostly by the overseas Pakistanis in Middle East) the market gradually became the hub for VCR and video films, due to the high demand for VCR and Indian film VCD rentals. The main square outside the ‘video market’ still goes by the name of “Banni chowk”, though some people tried their best to change its name to “Sunni Chowk” (Why Sunni Chowk? Because the main procession of Ashura Juloos ends here with Zanjeer-zani: I hope you will get the hint). At one point, there used to be a tonga stand outside the market at Saidpur Road, which has now turned into a Qingqi (Motorcycle Rickshaw) stand. Added to this crowd are numerous shops selling flowers and materials for wedding decorations. This area also boasts of desi food culture. Muhammad Ishaq looks back at the past and reminisces that he has seen the changing demographics of the city. “The city wasn’t this noisy, but now it has traffic and people everywhere”, he almost laments. Kindly do some more research while writing articles about this region as much of the info is wrong.. Pindi was the hub of Ghakkars, Rajas, Abbasis, Awans, Kianis, Khohkhar , Gujjar etc tribes and they were all Muslims before the creation of Pakistan. So Pindi had a Muslim majority even in the past 500 years. We should remember that Rawalpindi is a part of Potohar Region and it must be discussed in the context of Potohar region . The above article dont do any justice to this region at all. Moreover current Islamabad is actually the part of Potohar region that was a part of Pindi before 1960s. Also this region never remained the convenient way for any invader. In the past . King Porus ruled Potohar regions spanning whole of Northern Punjab and he was the One who challenged Alexander the great. The famous battle of Hydaspes between Alexander vs Porus also taken place in the same region. This region was the hub of Buddhism in the past. Mankiala Stupa and other remnants confirmed that. But you failed to mention it? Additionally you failed to mention Ghakkars who inhabited this land in the past and they were most famous warriors who recaptured Rohtas fort along with other local tribes. Correction: It’s still IS a part of the sub-continent!